Today is my stop on the Four Weddings and A Fiasco blog tour and I am delighted to be bringing you part 10 of an exclusive short story that Catherine Ferguson has written just for this blog tour!! 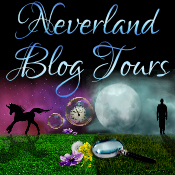 If you haven't read the story so far then the blow image will show you the other blog tour hosts - do check them out! Camilla had arrived and was staring over at me, trying to attract my attention, but my insides were in turmoil. Keesha had obviously told her husband-to-be a pack of barefaced lies, but why? Camilla’s words came back to me. She’s done so well for herself. Jonathan’s a real catch! He’s a commercial airline pilot. And Keesha had managed to ensnare him. Now I thought about it, she always used to brag that she was going to marry someone really important, like an actor or a pop star, so she could have loads of money, go to the Caribbean a lot and live in a mansion. But it was so very far from funny. Jonathan was a nice, decent guy and Crusher Dixon was planning on taking him to the cleaners. Oh God, what was I supposed to do? If I was going to tell Jonathan everything, I’d have to do it right now. Before Crusher herself arrived and the ceremony got under way. Because then it would be way too late. But what about my trial? Camilla had instructed me to be invisible . . . wallpaper . . . I definitely wasn’t supposed to have a mind of my own. I was already over-stepping the mark by turning my back on her increasingly frantic signals, as she tried to attract my attention. If I blew the whistle on the bride, and the groom cancelled the wedding, I’d be sacked, no doubt about it. Without a wedding, there’d be no album to design. No follow-up orders. And it would all be down to me. I closed my eyes miserably, seeing all my dreams going up in smoke. ‘Are you okay?’ Jonathan asked. I opened my eyes and looked into his open, trusting face. He looked surprised. Then he glanced at Lewis, who didn’t look too pleased, but shrugged as if to say, feel free. We walked over to the window. I couldn’t believe what I was about to say to him on the morning of his wedding. But I had no choice. The room was filling up with the excited chatter of wedding guests. The registrar had arrived and the quartet were tuning up their instruments. Hello again... another Sunday brings you another look into the lives of a fellow book lover. Today I'm pleased to have author Christina Philippou join me. I wish I had a book corner! Unfortunately, that's not likely any time soon in my house. I do, however, have a writing space (sort of) - it may not look like much but I love having a small secluded space amidst the chaos that is my household. I'm also often inspired by staring at that painting (it's by Perdita Sinclair, a Brighton artist), which has prompted many a jump-start to my writing. I write when I can too - on the train or any other time I can squeeze more than ten whole uninterrupted consecutive minutes together (a pretty rare thing in my life). Of course - I'm on my blog, Twitter and Facebook, and my novel, Lost in Static, is available for pre-order direct from the publisher or Amazon UK and US. Well hello there... Remember me? Ha! I thought that I would do a brief post to apologise for being MIA in recent weeks. I'd love to tell you that something exciting has happened. Or that I had been on an exotic holiday. That I'd been to many social event's and not had time to blog... the list of what I'd love to say has been happening is endless. In truth, I really don't know what's been happening. My social live has been non existent, I've pretty much done nothing in recent weeks, other than spend last weekend with my beautiful nieces and handsome nephew. So in short, I've no reason for being MIA, I just have. I've done nothing, yet had no time to do anything - don't you just had that? And the biggest thing of all. My reading MoJo... Vanished. Literally. Aghhh!!! I woke up one morning and just couldn't get into the book I had started. Tried another. And another. And then another - and that one has taken me 3 weeks to read. I'ts been awful. I've not been able to get comfortable to read or concentrate on the words in front of me. Which has been annoying for two reasons. 1. I got aa new Kindle Paperwhite for my birthday and hardly used it. 2. Some lovely publishers have sent some beauties of books post! Without reading and blogging, the fall out has been that I've barely been on social media too. I therefore wanted to take this opportunity to apologise for not sharing posts and reviews - I'm sorry. 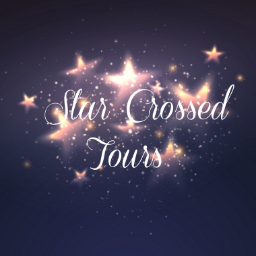 I have four blog tours coming up this month of which I shall fulfil but I've decided to ease back for a few weeks with blogging and social media. I'll still be around so please feel free to tweet or Facebook me, I just won't be as active in between. I want to take the pressure off and fall back in to reading again, and hopefully my reading MoJo will return as thew reading will be for love and enjoyment without the pressure. I hope everyone is well. I'd love to know what your reading currently, or a book you've recently read and loved that you think might help me! 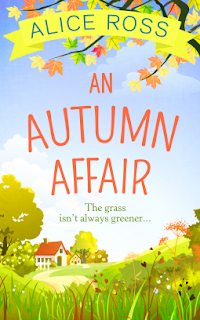 I'm delighted to be joined today by Katrina Rees to share her reading and writing secrets. Katrina is a regular on the blog as she often does guest posts, she also has her own blog for her adventures on which is linked below. I don't tend to keep many books after I finish reading them so I don't have a nice book shelf or anything. I used to keep my books on the table in the lounge but they were just gathering dust so most of them are now in bags in my bedroom, so I delve in whenever I get the chance to read. I always sit on the sofa to read and I keep a few books by my side there too. As for writing space, I do most of my blogging/writing on my laptop in the dining room. I feel like it's quite a formal setting but most of the time I need it to be like that in order to write. I've tried many times to take my laptop into the lounge and write in front of the TV or something but I just can't do it, I need to be in a controlled environment. I often do a lot of writing by hand too, whether it be jotting down ideas or drafting posts. At the moment, I have a lot of TBR Jill Mansell books in my collection as one of my New Year's Resolutions is to read all of her books by the end of the year. She's my favourite author, and whilst I normally pass on my books or donate them to charity, one book I will keep hold of forever is my signed copy of You and Me, Always from her book launch in January. I always read in the lounge, normally with the TV on. I'm not sure why but I don't find it distracting at all unless that I'm struggling to get into a book. I'm always wrapped up in my owl blanket too! When I'm writing, I have to sit in the dining room with some background noise and normally something to eat/drink. I can't work in silence and I get distracted if I put my headphones on, but background music/TV noise is just right haha. I don't! My TBR pile is small compared to most but I don't have the time to read as much as I would like, and instead of clearing my pile, I just keep adding to it. Working in a charity shop doesn't help as I'm always coming across something new that I want to read. When it comes to tackling my TBR pile, I tend to just go for whatever takes my fancy at the time. I do keep a record of what I've read though. I use the notes page on my phone to write down every book I read every year. 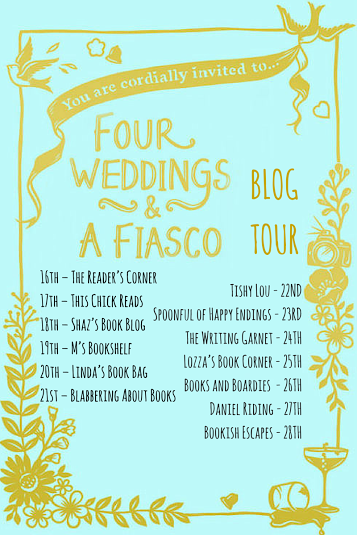 I've had Bride Without A Groom sat on my kindle for a while now, when the Author, Amy Lynch, mentioned that she would be running a blog tour to celebrate this book's birthday, I jumped at the chance as it forced my hand in to reading one I've been longing too! The book tells the story of Rebecca and is in the narrative of the 1st person, with exception of the odd few chapters which are in the third person and looks more at Barry's perspective. Barry is the long suffering other half of Rebecca, and the story starts with her birthday. Barry has taken for her a swanky meal and right from the start she thinks it's so that he can propose to her - giving us a great insight to how Rebecca's mind works. She is obsessed, I mean really obsessed, with weddings - followed closely by celebrities and their weddings. 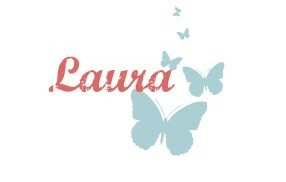 She has folders hidden with samples of Vera Wang dresses, venues, cake designs - you name it, she has it planned. The small matter here is that Barry has yet to propose and when Rebecca goes a step too far just before he has to travel abroad for work, they have one almighty row. Whilst apart they have time to think and evaluate their relationship. Rebecca turns in to a bit of a slob, drinking far too much alcohol and eating far too many takeaways whilst constantly ringing in sick to work. Barry on the other hand is trying to fight off his flirty co-worker but when he wakes in the same bed is guilt ridden. Amy Lynch has written a fun love story full of humour and wit. 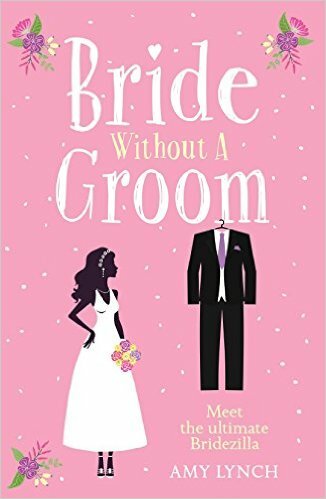 I was chuckling away as I was reading along with gasping at what Rebecca got up to next - every chapter she was up to something and even whilst her and Barry were apart she was still the ultimate Bridezilla!! I enjoyed reading this book and will be looking out for more of Amy's books.